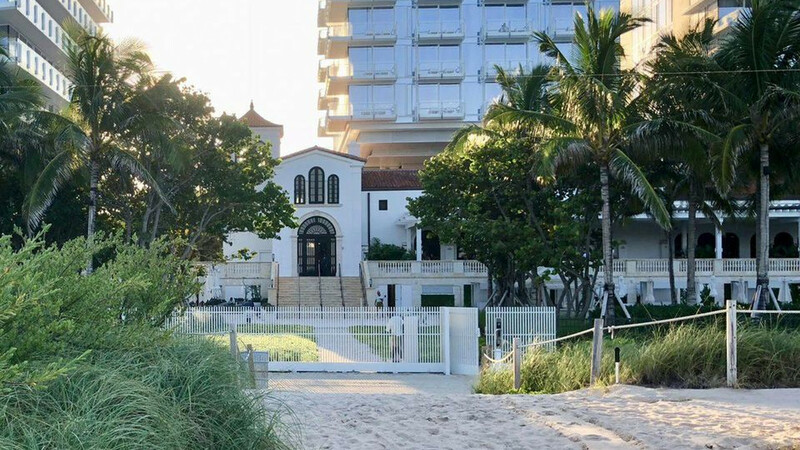 The Surf Club in Surfside, a 20-minute drive (on a good day) up Collins Avenue from South Beach, has long represented Miami Beach privilege and restricted access. Tire tycoon Harvey Firestone and a few friends including Miami Beach pioneers Carl Fisher and Irving Collins cruised up the Miami Beach coast in the 1920s during Prohibition, seeking a pretty place to drink and play. They found their perfect spot on the Atlantic amid the sand and palms in Surfside, and architect Russell T. Pancoast brought their romantic vision to life. For many years after it opened on New Year’s Eve 1930, The Surf Club remained a private hangout where the lucky few socialized behind closed doors: local society and celebrity guests such as Frank Sinatra, Dean Martin, Elizabeth Taylor, and Winston Churchill. Activities included poolside fashion shows, debutante galas, black-tie boxing nights and over-the-top parties. Founded by first-generation U.S. immigrants who met at and graduated from Harvard Business School in 1997, LCR Capital Partners is a global private investment firm that deploys growth capital in signature real estate and hospitality projects as well as the well-established U.S. franchise industry.